What are the main features of Soundcamp? 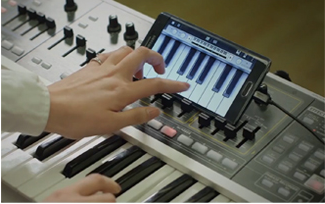 Perform, write, and share music anytime, anywhere on your smartphone! 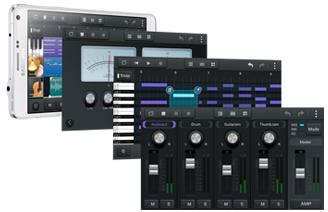 Soundcamp is a powerful music production tool for users who want to create music anywhere. 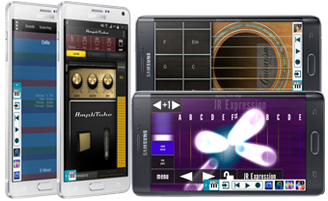 You can play music by using pre-loaded touch instruments along with various 3rd party music apps, and can aslo record and share the music that you have created. Note: Supported devices are Galaxy Note Edge, and Galaxy Note 4. WARNING: The images of devices shown on the introduction page may be different for each country. Fast response for real-time playing! Fast audio response for real-time playing, recording, and editing based on Samsung Professional Audio technology. Integration with various 3rd party music apps! Record, edit and mix up to 8 audio/MIDI tracks. A Piano-roll editor for precise MIDI editing modifications. Support external USB and analog audio accessories for clear, high-quality audio recording. Full MIDI support, controllable with an external USB MIDI. 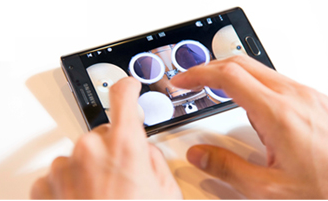 Note Edge: What is Galaxy Essentials, and how do I use it on my Samsung Galaxy Note Edge? Android™ 5.0, Lollipop: How do I access recommended applications on my Samsung Galaxy Note® 4 using GALAXY Essentials?